Chemotherapy. It’s not a feel-good word. It conjures up images of pale, sickly faces with shaved heads. But there’s a lot more to this cancer-killing drug regimen than its most talked about side effects. 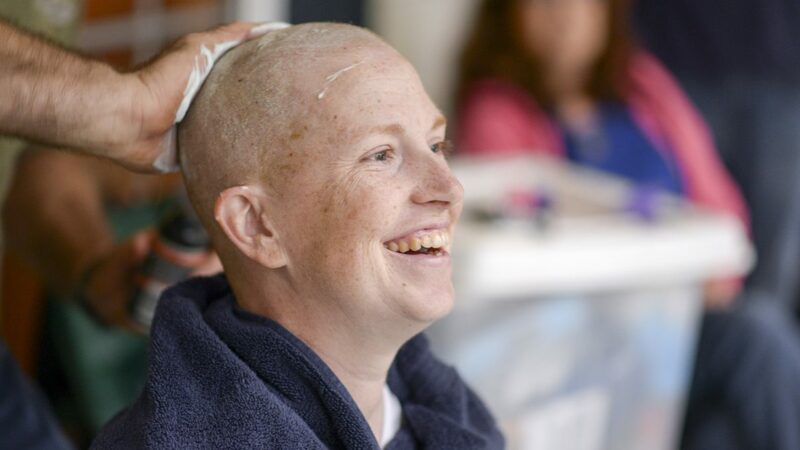 Because after you go through chemotherapy, it changes you in all sorts of ways… and while some of those changes can be unpleasant, others can be extremely positive and life-affirming. Because nothing beats chatting with someone who can share their first-hand knowledge, Folks spoke to two cancer survivors about their experiences: Allison St. Pierre, who was diagnosed with breast cancer just after her 52nd birthday in 2014, and Eric Fishman, who was 35-years-old when he received a diagnosis of testicular cancer in 2017. Whether you’re a newly diagnosed patient looking at treatments, a friend or family member of someone with cancer, or just curious about what geting chemo is like, here’s what you need to know about chemotherapy. 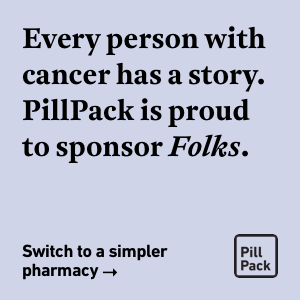 For starters, chemotherapy is not a one-size-fits-all drug–it’s actually a mix of chemicals (a drug cocktail, if you will) that are combined together based on the diagnosis, stage of cancer, and best course of care for each person. Although an oncologist will recommend the mix and intensity of treatment, the patient is the one who makes the final decision on exactly how aggressive they want treatment to be. Some regiments of chemo can be extremely intense: Eric had three rounds of treatment, each consisting of a week of daily treatments followed by two weeks mostly off except a treatment on Tuesday. Others can be relatively laid back: Allison received one day of treatment a month with a month off between treatments, which is more common. No, not the dessert wine. Because chemotherapy is such a potent mix of chemicals, inserting it directly into a small vein could dissolve the vein. So before chemotherapy begins, patients undergo a brief outpatient procedure to have a thin tube, called a catheter, placed directly into a large vein, often near the heart. The port is then connected to the catheter internally and has an external opening for chemotherapy delivery. Instead of a nurse continually pricking a patient to find a large, working vein, a special needle is placed directly into the port and then connected to an IV holding the personalized chemotherapy cocktail. Ports can also be used to draw blood. There are exceptions, of course. 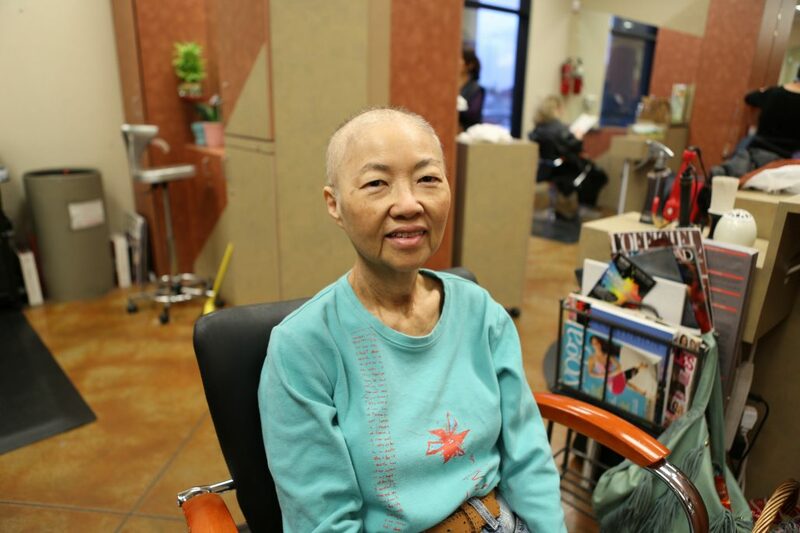 Depending on the type of cancer and treatment used, some patients do receive chemotherapy through an IV, or get injections, or even take capsules orally. But for most patients, you’re looking at getting some hardware installed. For those who receive their chemotherapy drugs intravenously, they must visit a lab for each treatment. Before chemotherapy begins, a nurse will weigh the patient and take a blood sample. If their blood count is too low, treatment may be delayed until their immune system strengthens. For those with ports or a catheter, the line must be cleared before the new chemotherapy treatment is given. This can leave a bad taste in the mouth, so many patients bring mints or a strongly-flavored drink to avert the taste. The amount of time it takes for the chemotherapy to drip through the IV and into the body can vary. Allison was typically done in two hours, while Eric needed three. Most patients will pack a “chemo bag” full of items that will provide them with comfort and help pass the time. While each bag is personal, some common items can include a large water bottle, a jacket and/or blanket, books, and electronic devices (with headphones!) to listen to music or watch movies. Chemotherapy doesn’t only eliminate cancerous cells, it’s designed to kill all fast-growing cells. So not only do you lose the hair on your head, you can also lose all your body hair… and when it grows back, it may, at first, be very different than before. For example, formerly coarse hair may grow back baby fine, and once wooly legs may be almost bare. Some people even lose the nails on their fingers, or experience skin discoloration by developing splotches that look like sunspots. And while for most, these changes are temporary, some people can end up permanently changed by chemo. 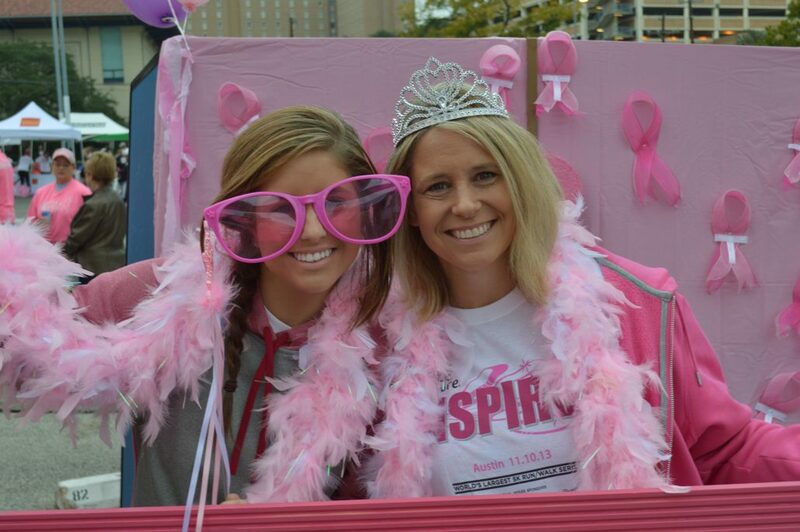 “When you have cancer, you feel you like you don’t have any control,” Allison explains. “My daughter and I made a party out of shaving my head. It was long, so she chopped it in stages to see what it looked like. I even had a mohawk at one point!” It can even be fun to accessorize around a newly bald head: for example, by trying out wigs with cool new hairstyles, or embracing a range of fun scarves and hats.ys to exert a bit of control. When you have cancer, you feel you like you don’t have any control…Take charge! Chemotherapy causes nausea and vomiting, leading to weight loss, but that’s not all. It also changes your taste buds. Lasting up to five days after treatment, everything Allison ate had a distinct metallic flavor; Eric, on the other hand, completely lost his ability to taste after treatment. Both are common side effects from chemotherapy. In addition, because of nausea and possible mouth sores, “heavy” foods (like burgers, pizza, or steak), sodas and sweets are often unappealing to chemotherapy patients. Many will stick to a diet of bland foods, like mashed potatoes, oatmeal, and crackers. Luckily, taste buds often return to normal in between treatments, and once chemotherapy is complete, food will taste like food again. Finally, when you undergo chemotherapy, you need to be really careful about where you’re buying your food. Since outbreaks of salmonella and E.coli are on the rise, patients may now be advised to avoid fresh, raw produce, which could prove deadly to a person who cannot fight off bacteria. Say so long to the farmer’s market, at least until treatment is done. Most chemotherapy plans involve periods of treatment, followed by periods of relative normalcy, where no chemotherapy is had. During treatment periods, the symptoms can keep patients homebound, but in those weeks between, most patients resume their “normal” lives as much as possible. In Allison’s “two good weeks” between rounds, she worked at her local community theater, shopped at the grocery store, enjoyed meals out with friends and went to the movies. She even remembers the satisfaction of having enough energy to clean her kitchen. Chemotherapy can, weirdly enough, be a good time to bond with your friends, or even make new friendships. 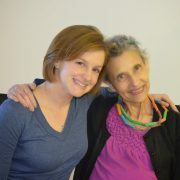 Allison also made numerous new friends during her chemotherapy treatments. And not all of those friends were local. While she did attend some support group meetings, the women she met mostly older, many of Allison’s closest friends were made through online support forums for fellow cancer patients. For Allison, taking a “media fast” was very important. Instead of watching or reading the news, she chose to read the Bible, write in her journal, walk in nature, participate in yoga classes for cancer patient, and join support groups. The walkaway from all this? 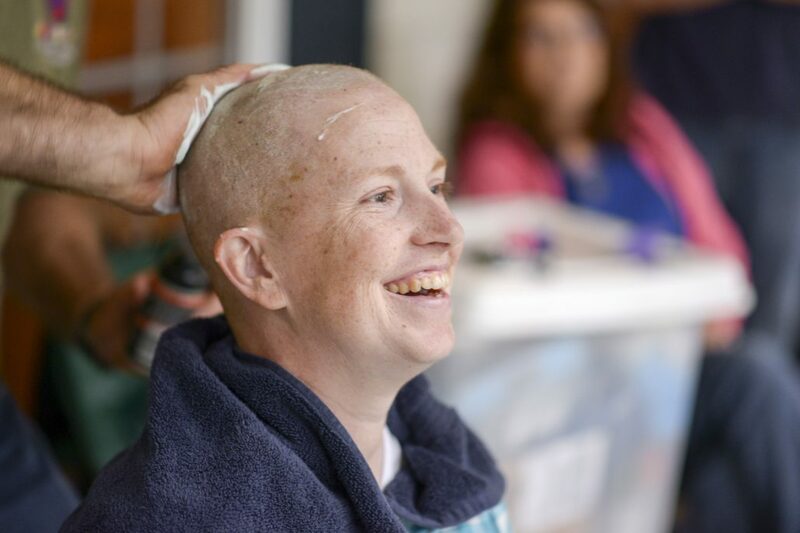 If you’re a chemo patient, do whatever it takes to feel good about the world during this time; if you’re the friend of a patient, follow their lead, and be as upbeat as possible. It might feel like chemo never ends, but it does. And life does get back to normal, eventually, even if it can take a long time. When he received an all-clear from his oncologist, Eric says that he still didn’t feel “fully normal” partly because he still looked sick. It wasn’t until months later, when his eyebrows grew back, that he started feeling like he was really better. Allison’s recovery was faster. Starting just a few weeks after her last treatment, she began to see new hair, which she photographed weekly as a reminder of the progress. For her, this served as proof that she was recovering, even though it seemed slow. She created an electronic photo album called “Hair,” and as soon as she felt it was long enough to publicly display, she donated her wigs to a local cancer organization. When your chemo ends, there can be a tendency to feel a certain degree of survivor’s guilt: to ask yourself, why did you make it, when so many others don’t? To this, Alison says that we should all remember a song from one of her favorite musicals, Hamilton. Creative Commons photo at top by North Carolina National Guard.